We know you San Antonio homeowners love your Weston Dean home, but the truth is that time is a home’s worst enemy. Though your home is built to withstand the test of time, there are a few simple things you can do to keep your house looking like the day you bought it. First, there are several routine maintenance measures you should consider on a yearly or as-needed basis. Test your smoke detectors and carbon monoxide detectors at least every six months and replace any dead batteries immediately. Have your fireplace cleaned and replace your furnace filters yearly. Have your air conditioning unit inspected annually as well. Checking on each of these items and testing appliances will help you avoid costly, unexpected repairs that are easily avoidable with routine maintenance. Your floors are a great place to start protecting your home. Buff out any scratches and wax the wood floors to keep everything looking bright, shiny, and new. Tile and linoleum will benefit from a good scrubbing to prevent excess grime from building up over time and dulling down a room. Treat stains immediately and have the carpets professionally cleaned every so often. Check your washer and dryer, fridge, and oven for leaky hoses, dirty filters that need replacing, and any other general maintenance they require. Having clean filters and working hoses not only means things will work correctly, but that you’ll be safe from fire and other hazards. Clean and repair any broken window screens so you can enjoy some fresh air year-round. While you’re examining the windows and doors for broken screens, keep some WD-40 on hand to tackle any creaky hinges and check for any lining that needs to be re-caulked. There are plenty of ways to keep your Weston Dean home fresh outdoors, too. Clean the gutters each fall and spring to ensure drainage can occur as it was designed to. Keep your landscaping neat by developing a green thumb or consider hiring a neighborhood kid or professional services to cut your lawn. Trim back overgrown hedges and trees and always make sure your mailbox, house number, and public street signs are visible from the road and your driveway. Rent a power washer for a day and go to town on your siding; make sure to follow all safety precautions and only use the washer for its intended use to avoid injury or harm to your property. If after the power wash your siding seems a little uninspired, consider repainting your home. A new coat of paint should only be necessary every 6-8 years, thanks to San Antonio’s mild climate. If you follow these easy home maintenance tips, your Weston Dean house will look brand new for years to come! If you are considering redecorating your home or feel like your home needs a facelift, you may be unsure of the best place to start. 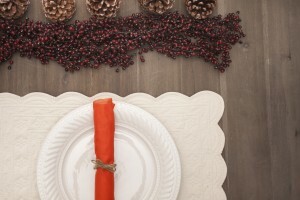 Fall is considered the “best time” to redecorate your home but what makes this time of year the best time to decorate? Weston Dean Custom Homes, a premier New Braunfels custom homebuilder, shares why fall is the ideal time to get creative with your home décor. First, fall makes a great time of year to decorate because lets face it- who doesn’t like the atmosphere of fall? When the heat of summer finally subsides and the weather begins to get to a comfortable cold, most people feel the urge to go pick the perfect pumpkin and fill their home with all of the wonderful aromas of fall, like a freshly baked pie. People also like fall because it is all about comfort. Fall goes hand in hand with coziness and it is the perfect time of year to gather around the fire with your family. Who doesn’t want to create great memories with their family cozied up to a fire with hot chocolate, warm blankets and a movie? Packing away your summer clothes for cozy sweaters is a welcomed change and staying in is a nice change to relax after the craziness and traveling summer can bring. Fall is also the perfect time to warm up your home to make everyone feel welcome as you have friends and family over for holiday meals and parties. From Thanksgiving to New Years, chances are your home might see a lot of guests come through it. If this is the case, make them feel at home with a cozy fall atmosphere with soothing candles and smells of fall. Making your home feel warm is also good for having a special dinner at home with your spouse as well. What makes decorating your home during the fall even better is that it can be done on a budget. You don’t need to break the bank in order to create a warm and inviting atmosphere of fall in your home. From pinecones, leaves, nuts, and sticks from your backyard, a lot of fall accessories can be found in and around your home already. The best part of fall decorating is that a lot of it can be free! Also, the closer you get to Thanksgiving the more you’ll find stores having huge sales on their fall décor. An even better reason to brighten your home up this fall with new home décor accents.